Sno-King had a successful tournament weekend! 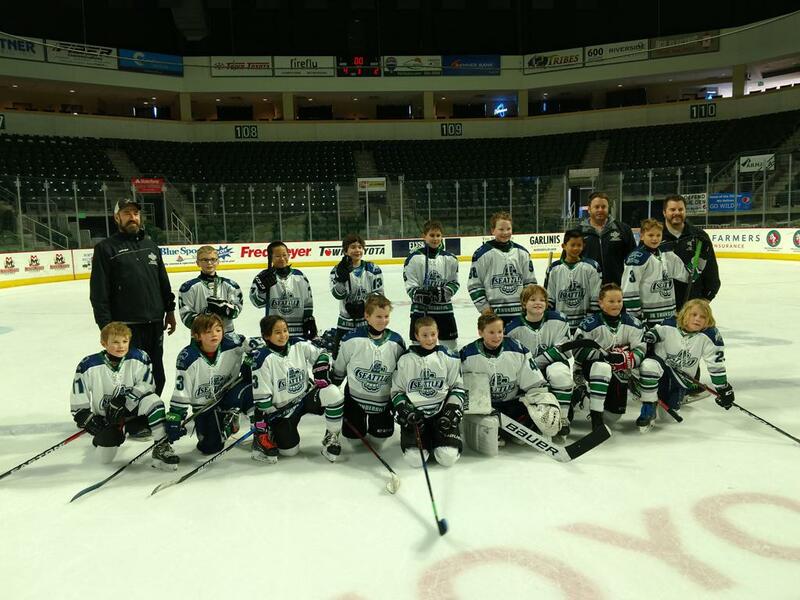 Over Thanksgiving weekend, players from our 10U B division teamed up to represent Sno-King Jr. Thunderbirds at the 1st Annual Northwest Fall Face-off Squirt B tournament in Wenatchee, WA. It was the first full-ice game experience for most of our team, and they rounded out the tourney with an honorable 2-2 standing. Way to go, team! Congratulations to 12UA3 - Chakrabarti for taking 1st place at the Thanksgiving Classic in Spokane. They faced Cranbrook in the final and fought through a scoreless 5 minute overtime but took the win in the shootout! Way to go, team! At home, Sno-King hosted our annual 10U Thanksgiving Tournament. 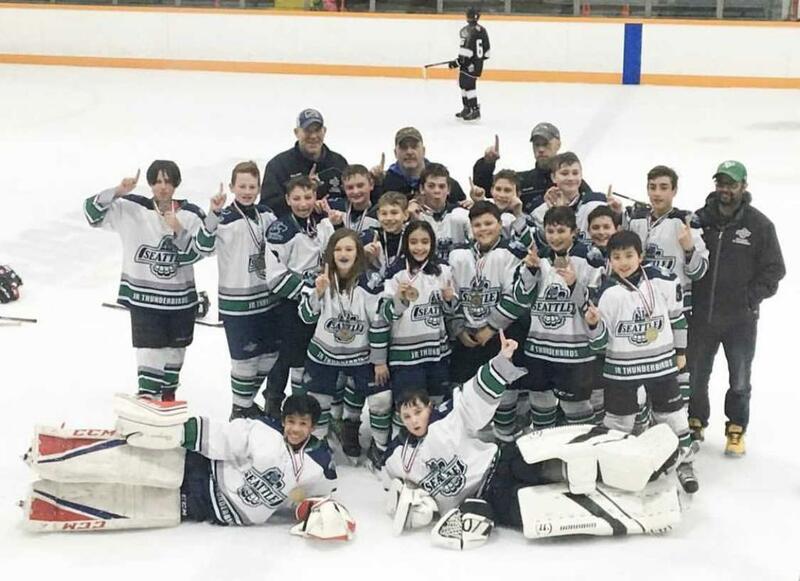 With six teams from the Vancouver area and two more local teams our four Sno-King teams had plenty of opportunities to work off their Thanksgiving dinners! Thank you to all the volunteers that made the tournament run smoothly. 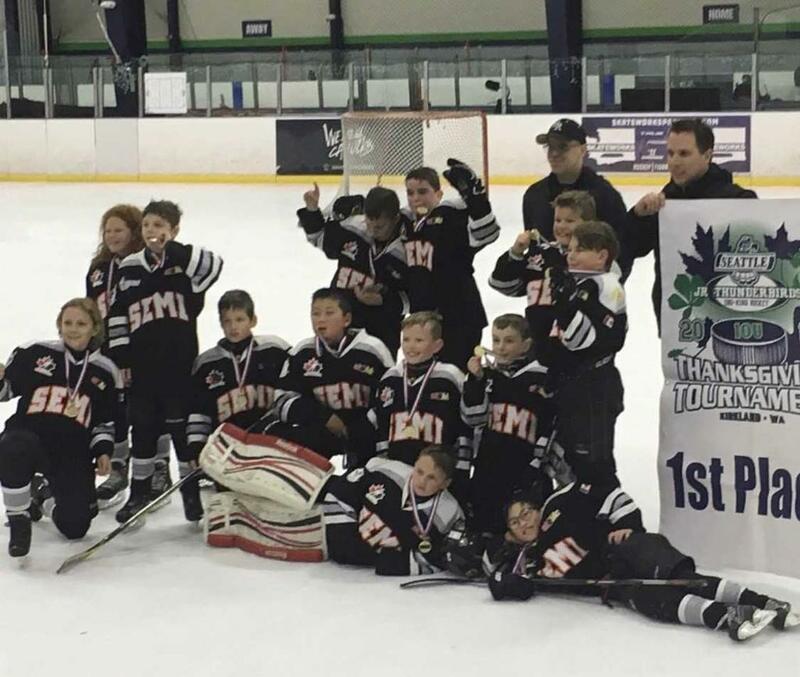 Congratulations to Semiahmoo Atom C4 for winning 1st place!